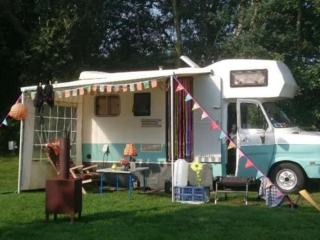 This beautiful retro camper immediately gives you the unique holiday feeling! 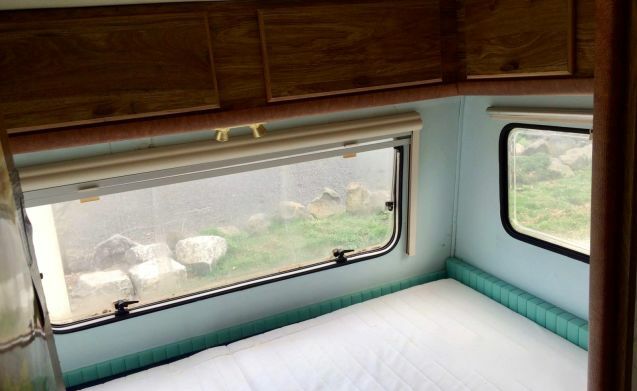 The camper is certainly not a standard camper from the inside and the outside, and attracts a lot of attention. Inside it is completely retro decorated, and with the indestructible Mercedes engine you come everywhere. 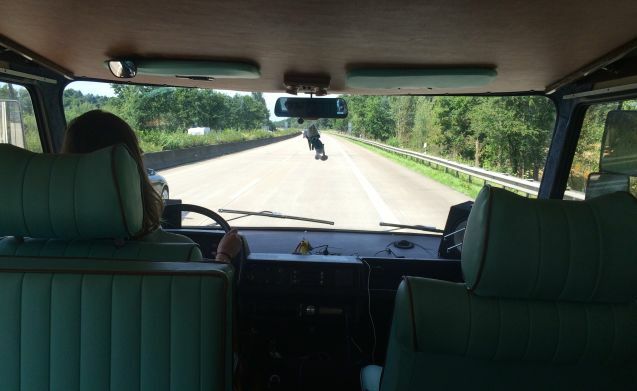 The front seats are nice and because of the spacious Hymer windows you have a beautiful view throughout the ride. 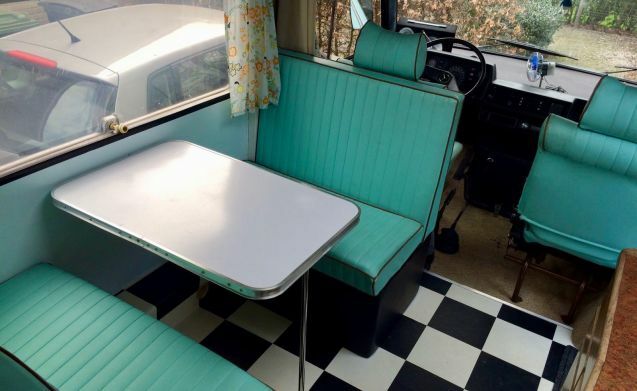 The camper has a large living space. Behind the driver's seats there is a train seat for 4 people, and a kitchen with extensive inventory. Furthermore, a spacious closet with combi-microwave and a toilet with sink. In the back is a fixed bed of 200 x 150 cm in the width direction and a lift bed in the cabin (180 x 140). 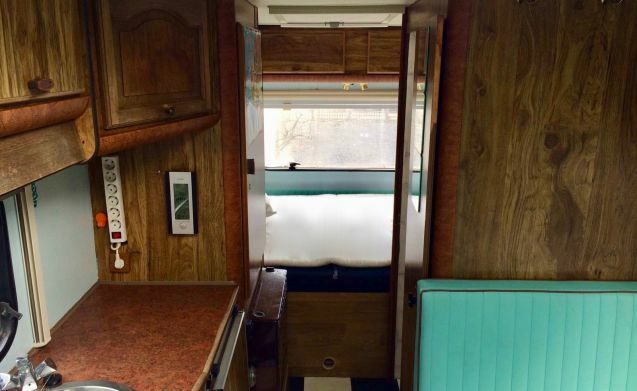 The camper has plenty of closet space. This is suitable for 4 people, and of course very comfortable for 2 people. 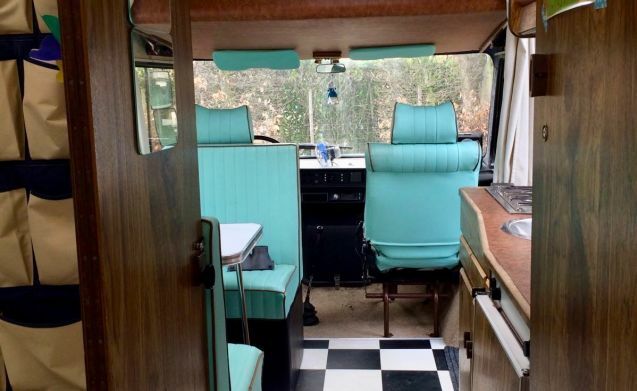 The camper has had an extensive refurbishment in early 2018, both inside and out. 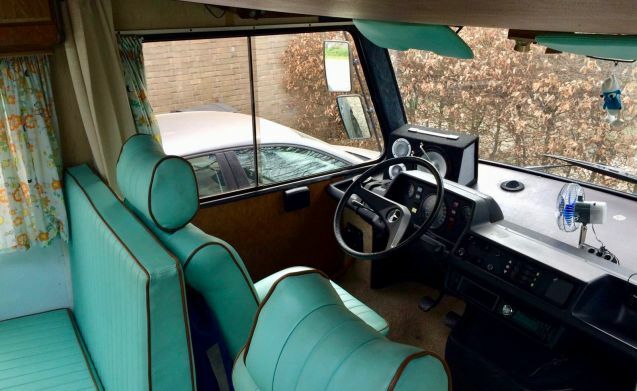 The upholstery to the technique are all in good condition. 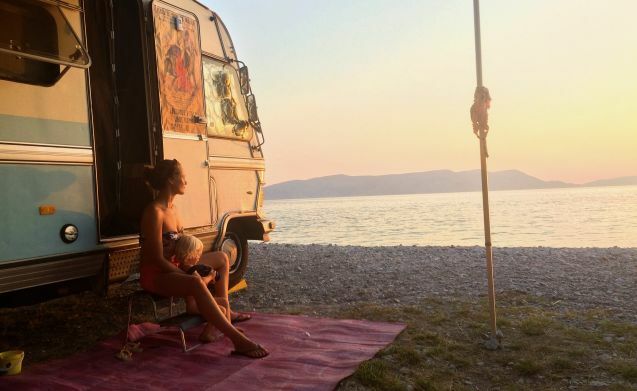 In June 2017, the camper has been extensively checked and has received a new APK. The maximum speed is 110 km / h, but it just goes better with 85-100 km / h. After all, you are on vacation. The dimensions are 615 cm long, 220 cm wide and 290 cm high. 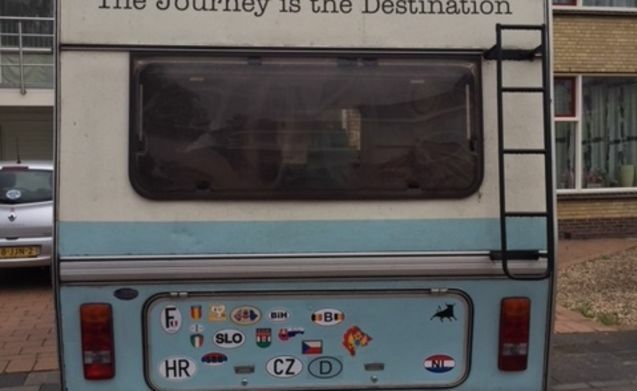 This camper is especially suitable for the adventurous traveler, who likes to go off the beaten track. 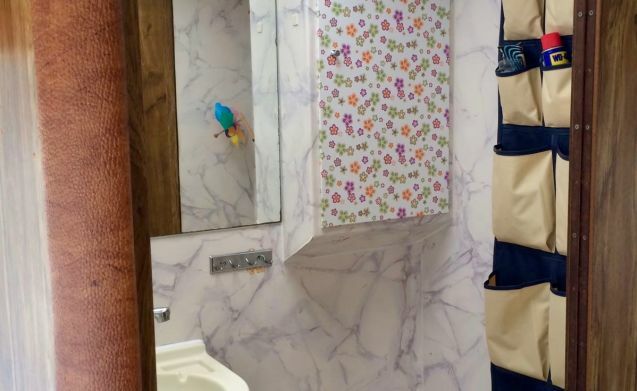 The camper is equipped with many conveniences, but there is still a difference with the comfort of a new camper. 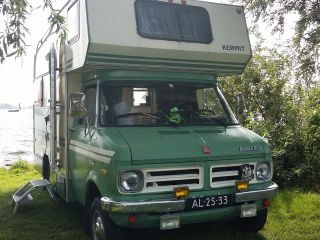 For example, the motorhome has no power steering, no hot water and some parts are still original. This sometimes leads to some extra attention, but in our view it is just part of the charm. 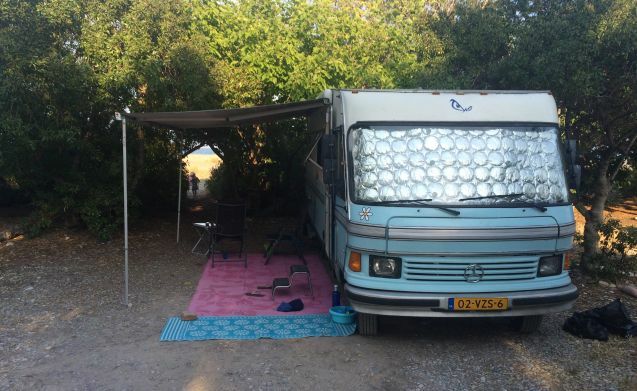 It gives the camper a beautiful alternative look, which makes your holiday a unique experience. Do not hesitate to contact me. Of course you will receive an explanation on the equipment and use of the motorhome and make a test drive. 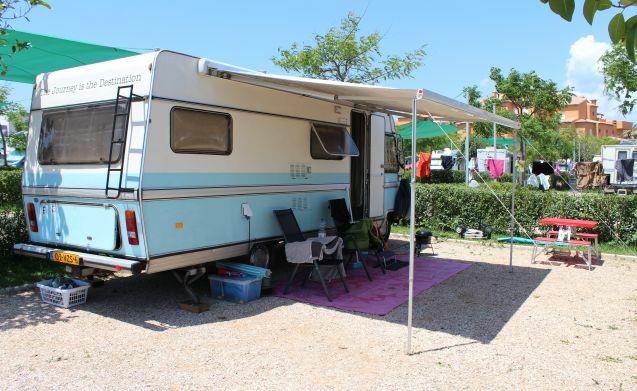 We are happy to send you our extensive motorhome description, so that you can read it all and be well prepared on the road. 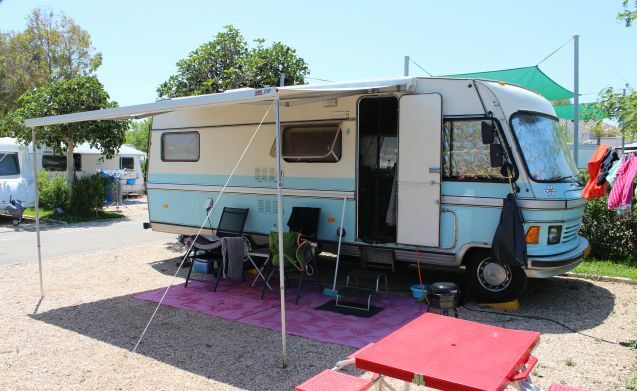 After each use, we check whether the motorhome is technically sound. In this way, the chance of problems and inconveniences is minimal. During the rental we are always available via WhatsApp or SMS. 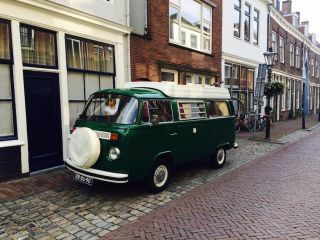 The camper can be picked up in Harmelen. You can park your car here for free and safely. - And various other camping items so you will not be surprised. Unique Oldtimer alcove for four people!